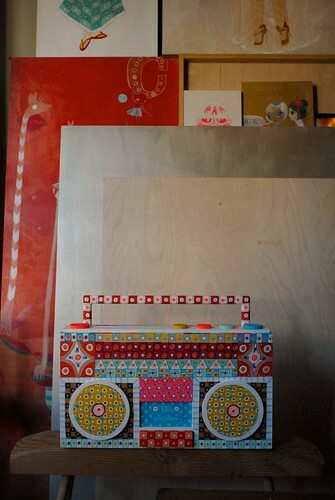 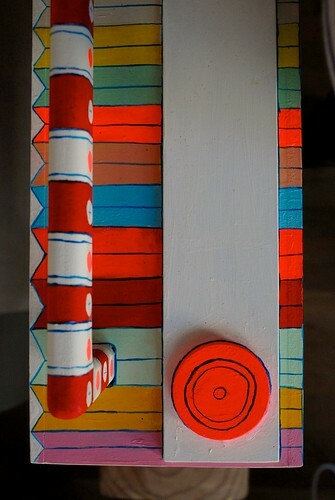 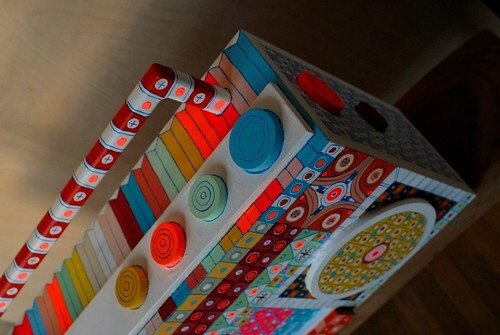 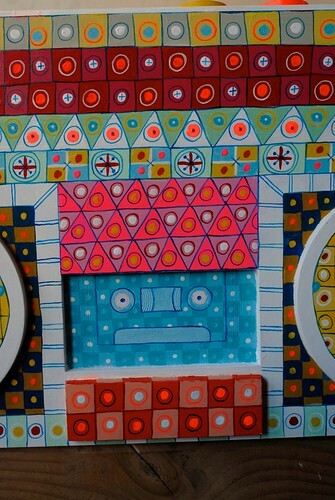 Ferris created a hand painted boom box for a client. 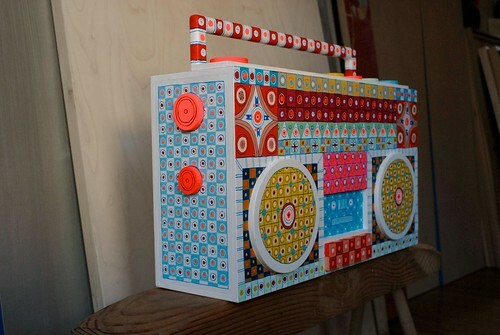 The boom box was created out of plywood. 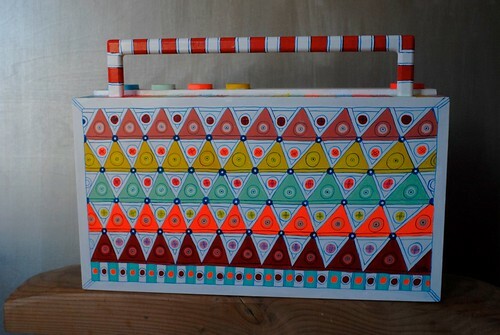 The boom box was then primed and painted.